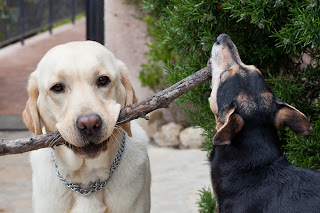 Ricky, the little black and tan dog, has been trying to break this small branch (or large twig!) off a dead bush for weeks now. 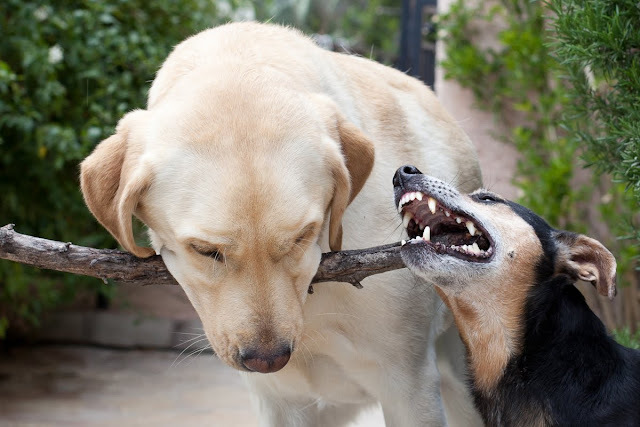 Today he succeeded at which point, Daisy the labrador, decided it was her branch. Both dogs have featured on Riviera Dogs before but just in case you've not met them - Ricky lives in Monaco and Daisy lives in Cannes although she is here for a seven month stay as she is moving to Perth in Australia when all the paperwork is completed. So she thinks she's my dog (for the moment) and so do I! Both these dogs are totally adorable. Love this! So Lab that Daisy just lets Ricky try to have his way while remaining clam and steadfast. Wow, what a fabulous poster this would make. So happy to have stumbled onto your blog this morning. I would like to follow along if you don't mind. 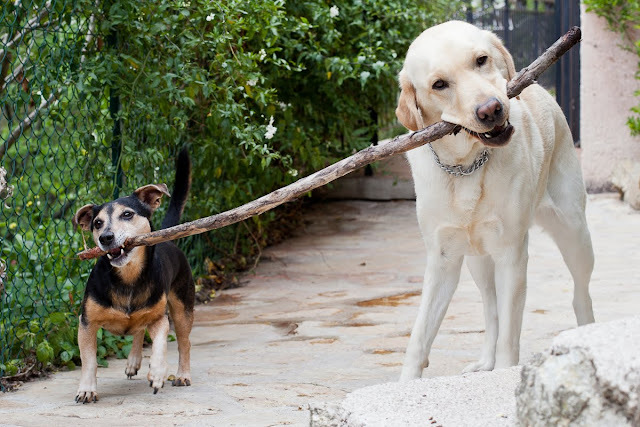 I absolutely love the pictures of Daisy and Ricky with the stick. Beautiful pictures! My golden retriever, Lucy, wants to play with these guys!